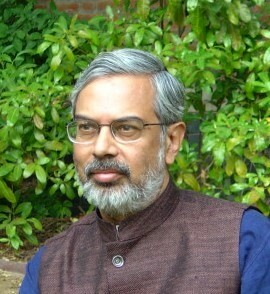 Kartikeya V.Sarabhai is the founder and director of the Centre for Environment Education headquartered in Ahmedabad, with 40 offices across India. AHMEDABAD, India, Dec 30 2014 (IPS) - Education for Sustainable Development (ESD) brings together concerns about the environment, economic development and social aspects. Since 1972, when the first U.N. Conference on the Human Environment was held in Stockholm, Sweden, there has been increasing awareness of the intricate link between conserving the environment and human development. The fact that our lifestyles and the way we have developed have a major impact on the environment was known earlier. Rachel Carson’s book, Silent Spring, in 1962, had been an eye-opener, especially in the United States where it was published. But the 1976 U.N. Conference on the Human Habitat was perhaps the beginning of the realisation that development and environment had to be dealt with together. By the time of the first Rio conference in 1992, the deterioration of the environment was recognised as a global issue. The conventions on biodiversity and climate change both were formulated at this conference. It was increasingly clear that no longer could countries solve their problems at the national level. With greater awareness especially on climate change one realised that what happens in one part of the planet has an impact on another. Notwithstanding what President George W. Bush declared at Rio – that “The American way of life is not up for negotiations” – the world came to realise that ultimately these issues had to do with people’s lifestyles. The development paradigm that had emerged was carbon intensive and extremely wasteful. It is not laws alone that can change people’s behaviour but people themselves behaving with a sense of responsibility. The global footprint measure was developed in 1990 by Canadian ecologist William Rees and Swiss-born regional planner Mathis Wackernagal at the University of British Columbia. It was a good way of knowing just how an individual’s action impacted the planet. Since the 1970s the total human footprint has exceeded the capacity of the planet. While the global debate then and to a large extend even today seems based on the idea that making changes in policy and introducing new technologies can somehow shrink this footprint to sustainable levels, this assumption is widely questioned. At the core of the change that is required is the transformation that happens in the way people relate to the planet and how we produce, consume and waste resources. It is not laws alone that can change people’s behaviour but people themselves behaving with a sense of responsibility. This sense of responsibility is at the heart of the concept of citizenship. Global Citizenship therefore almost naturally emerges from an understanding of environment and sustainable development. ESD therefore becomes the foundation for Global Citizenship Education (GCE). A Global Citizen is not someone who can be passive, but needs to contribute. ESD, unlike most formal education programmes, has the necessary action component built into it. ESD though shortened to three letters actually stands for four words. The missing word in the abbreviation is “for”, a word as important as the other three. It is not Sustainable Development Education, which would indicate it is about teaching people about sustainable development (SD). What “for” does is, it puts an action goal at the end of the education process. It is not just to increase public awareness and knowledge about SD but in fact to act to achieve it. The Global Education First Initiative (GEFI) of the U.N. secretary-general speaks of Global Citizenship as one of the three key concepts that the world needs to strive for in education today. GCE involves widening horizons and seeing problems from different points of view. Multi-stakeholder discussions are an important part of a GCE Programme. While we may strive for this, it is not always easy to understand and experience different points of view. The Centre for Environment Education (CEE) in Ahmedabad, India, along with CEE Australia has launched the Global Citizenship for Sustainability (GCS) Programme which involves connecting children in schools in different countries around a nature-based theme. For instance, Project 1600 connects eight schools on the coast of Gujarat in Western India with similar number of schools on the coast of Queensland in Australia. Through projects concerning the marine environment, children living in very different societies at different levels of development compare notes. The exchange forces students to think out of the box and understand issues from a very different perspective, from a different part of the globe. Internships where students spend time in countries and environments that are very different from their own are also a very effective tool for GCE. Increasing global connectivity has also opened up possibilities for GCE that would have been unimaginable just a few years ago. The work on ESD done during the Decade of Education for Sustainable Development led by UNESCO and partnered with a number of organisations across the globe has set the foundation towards GCE. Tools to measure GCE are still under development, as is the concept itself. The Brookings Institute through its Global Citizenship Working Group of the Learning Metrics Task Force 2.0 Program has made a beginning in these tools. The continuous feedback and strengthening of the programme should lead to specific insights on GCE much as the last decade of work in ESD has taught the global community the finer points of creating a sense of responsibility to the planet while the same time engaging in a development process.